The summer slide refers to a learning loss suffered by students during long breaks from school. Summer break tends to be the longest time students spend out of the classroom, making them especially susceptible to a learning loss this season. Of course, students who practice their school lessons over summer and who partake in academic activities are less at risk of losing valuable knowledge. Students who don't do anything academic during these months away from school can lose knowledge and even suffer a loss in reading level. Preventing the summer slide isn't hard, it just takes some commitment. 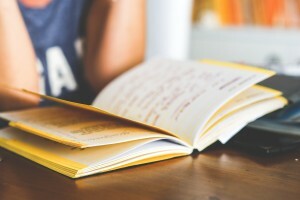 Students can easily ward it off by reading regularly during their summer break and by practicing their school lessons. Tutoring programs, summer school, and studying at home are all easy ways to keep a learning loss at bay. This will be helpful once the new school year starts because students who suffer from the summer slide will have a harder time keeping up with new lessons and may even have to go back and relearn old lessons. Summer isn't over yet! Your child still has time to review and refresh some of their lessons in preparation for the new school year. If your child needs help relearning some lessons, tutoring in Powder Springs can help. Contact The Tutoring Center, Powder Springs GA at (770) 222-7133 to learn all about their academic programs and how these can help your child succeed.